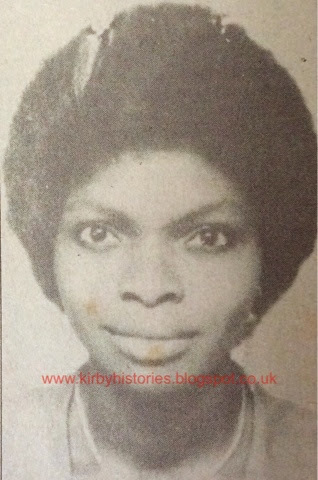 Gloria Okon was a Lady who was arrested in 1985 by the National Security Organization (NSO) at the Aminu Kano International airport, Nigeria on suspicion of drug smuggling. Soon after, the NSO alleged that she had died in custody, the government subsequently constituted a commission of inquiry to investigate the matter. Conspiracy theorists allege that Gloria Okon was a drug mule working for the wife of General Ibrahim Babangida .The theory goes on that Babangida spirited Okon out of detention to the United Kingdom and sold the public the ruse of a dead Gloria Okon. Some have said the late journalist Dele Giwa uncovered this and that is why he was killed.